An entire north-east street has had its mail deliveries suspended after a postie was attacked by a dog. The female member of the Royal Mail team was injured as she delivered letters and parcels to Dundonnie Street in Boddam on Thursday. It is understood she was bitten on the arm and had to be taken to hospital for treatment. Royal Mail halted deliveries to one address on the street after a previous incident in July. Now they have extended the ban to every resident living there – though they have apologised to those caught up in the row. People staying in Dundonnie Street will have to collect their mail from Boddam Post Office until Royal Mail can be sure the dog involved is under control. Last night, a Royal Mail spokeswoman confirmed details of the mail delivery ban in the tiny coastal community. She said; “Unfortunately a postwoman in Boddam was attacked by a dog while she was delivering mail to Dundonnie Street. “Mail is already suspended to the owner’s address after a previous attack on one of our workers in July. “Due to the fact that the dog attacked our postwoman while loose in the street and was not under control, mail deliveries to the rest of Dundonnie Street have been suspended. “We apologise to the other residents for the inconvenience of picking up their mail but Royal Mail takes the safety or our postmen and women very seriously indeed and we only suspend deliveries as a last resort. 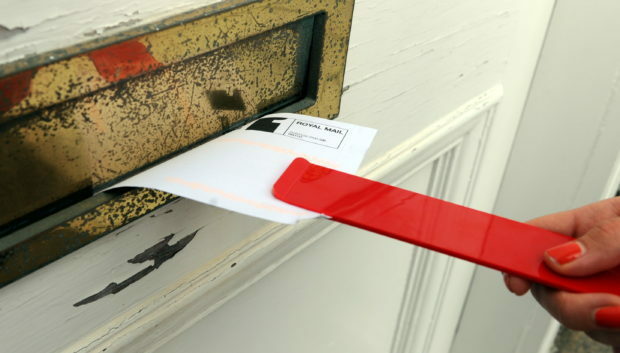 In May this year Royal Mail was forced to suspended deliveries to a tenement block on Victoria Road in Aberdeen after a postal worker was attacked when delivering a parcel. The Boddam incident comes just months after the Press and Journal revealed the north-east was one of the worst areas in the country for dog attacks on postal workers. There were 38 incidents in the AB postcode during the year to April, marking a 52% increase in just 12 months.